Can getting organized really make that big of a difference in my life? Absolutely! 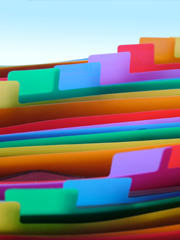 Getting organized gives you a strong sense of well-being. A clutter-free space will clear your mind, re-energize and inspire you. It increases efficiency and productivity by lowering stress and helping you find more time and energy for what matters most to you. It makes a home or office appear more spacious and inviting. You will finally feel more comfortable in your space! Disorganization is draining, making it difficult to focus and make decisions. You may find you procrastinate when surrounded by clutter. A lack of organization can cause feelings of frustration, anxiety and hopelessness. Begin now. The space can be as small as a drawer. It can make a difference. You will feel the power that comes along with beginning to take control over the clutter in your life. It will be the beginning of the life you want to lead. Take a moment to imagine what it would be like to walk in your front door without tripping on anything, to open your kitchen cabinets with nothing falling on your head, to have a clear desk to work on and an organized filing system, to have space in your garage for your car! Bliss! You will Love Your Space when you can find whatever you need in 30 seconds or less! Not to mention the bonus of finding those long-lost gift certificates you received for Christmas, those coupons you meant to use, those cheques you meant to cash. Your lost and misplaced valuables are worth a bundle! Do you do offices or just homes? I can help you organize any space. Bring on that bulging junk drawer or jumbled filing system! Size doesn't matter because large or small, the same principles of organizing apply. I tackle offices, homes, basements, files, garages, closets, drawers, and anywhere else clutter collects. That depends on the project itself, how available you are to participate, and the budget you have to work with. I can provide solutions to fit your particular needs and work over a period of time that suits you. I have tried to get organized in the past. What will make this time different? So many of my clients say they have tried so many times to get organized. They start the process again and again and always seem to abandon it. My clients always say that they never would have accomplished alone what we accomplished together. You could say I am a project manager of sorts, seeing the organizing process through right to the very end. Past, Present or Future - Where do you want to live? Holding on to reminders from your past keeps you stuck there, preventing you from moving on with your life. Keeping things "just in case" you may need them in the future can prevent you from creating the life you want today. Both of these excuses for keeping clutter are fear-based. Feel the fear and let them go anyway. All we have is the present moment. What exactly have you helped your clients do?